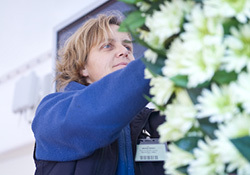 DAUERFLORA offers customised solutions for all requirements and for the most diverse customers. We always begin the process by carrying out a detailed consultative session. Because we want to truly understand our customers and identify the solution that’s right for you. Following the consultative session and the planning phase, we implement our greening concept professionally and with a high degree of floristic and technical expertise. Additionally, we offer further services such as maintenance so as to retain attractiveness on an ongoing basis, customer-friendly leasing or even storage and refurbishment of seasonal decorations. Our qualified expert staff will provide advice on the telephone, via e-mail or face-to-face on your premises. We work with you to develop the right greening design – entirely in accordance with your individual specifications, requests and budget. To wrap up the consultative session, you will receive a detailed proposal, incorporating images, so that you can gain an idea of what creative greening design can do for you. We carry out all assignments applying a high degree of technical skill, artistic creativity and meticulousness. Our work is reliable and timeline-compliant, and we are flexible and happy to support our customers. Depending on the assignment, we deliver in person, via a forwarding agent or via package courier – all around the world. 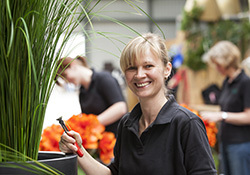 To ensure that your plants and decorations consistently remain in good condition, our DAUERFLORA Maintenance Team is at your service. A maintenance contract is the simplest and most effective approach. 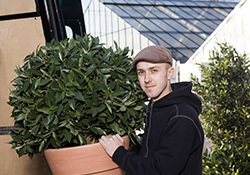 We will then regularly and reliably take care of your plants. The results are plain to see – and are cost-effective for you! In cooperation with a leasing company, we also offer you plant leasing or fit-out rental. We develop proposals consultatively, tailoring them to your vision and specifications. We shall be pleased to discuss all further information and details in the course of a personal interaction. Some articles, such as Christmas decorations, are generally needed only once a year, but must look atmospheric and festive at that time. We therefore offer you not just seasonal decorations for various occasions but also professional storage and refurbishment. This will ensure that your decorations for the festive season shine with that perfect lustre again year after year.